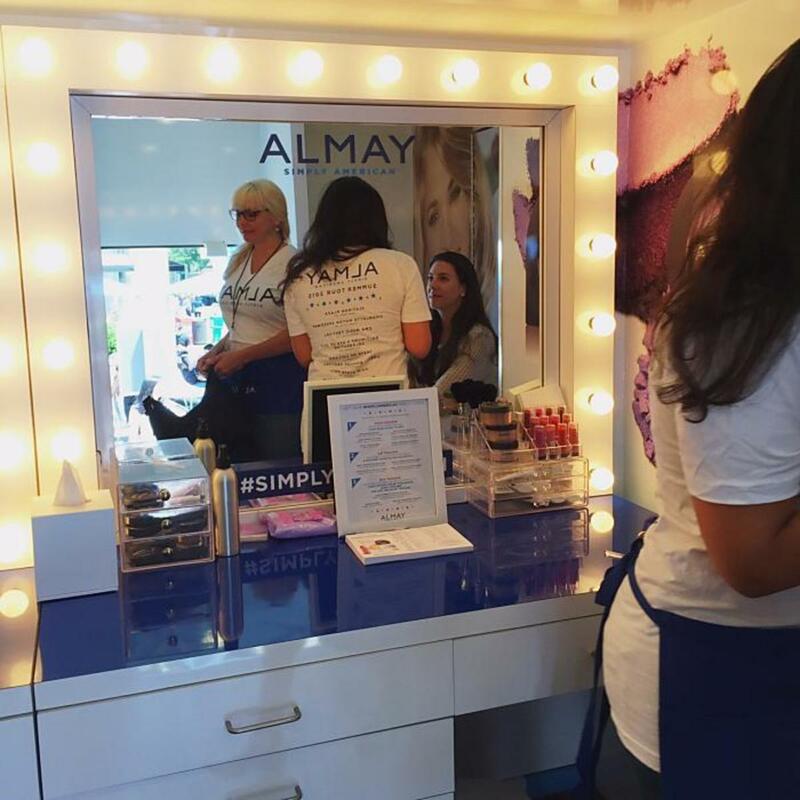 You may have seen on our social channels that I spent a glorious afternoon last Friday in Manhattan being pampered by Almay on its "Simply American" bus tour stop in Flatiron Plaza. The Simply American experience was designed to honor women in the U.S. military and veterans, celebrating the spirit of American beauty from the inside out, and will be traveling across the country this summer to places that best exemplify the American spirit. Almay has already donated $250,000 to the USO, a private non-profit, whose mission is to support service members, and is donating another $1 for every Simply American moment photo uploaded to social media with the hashtag #SimplyAmerican, up to $10,000. 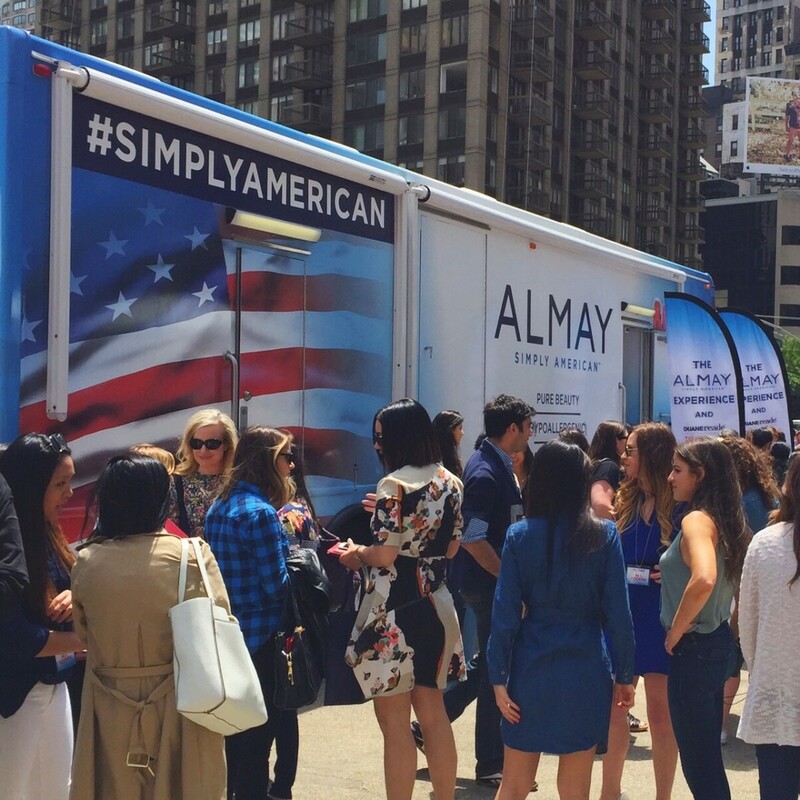 The Simply American bus is outfitted with makeup stations, a wall of product, and fun photo booth. Visitors receive touch ups, can play games, participate in giveaways, and more. 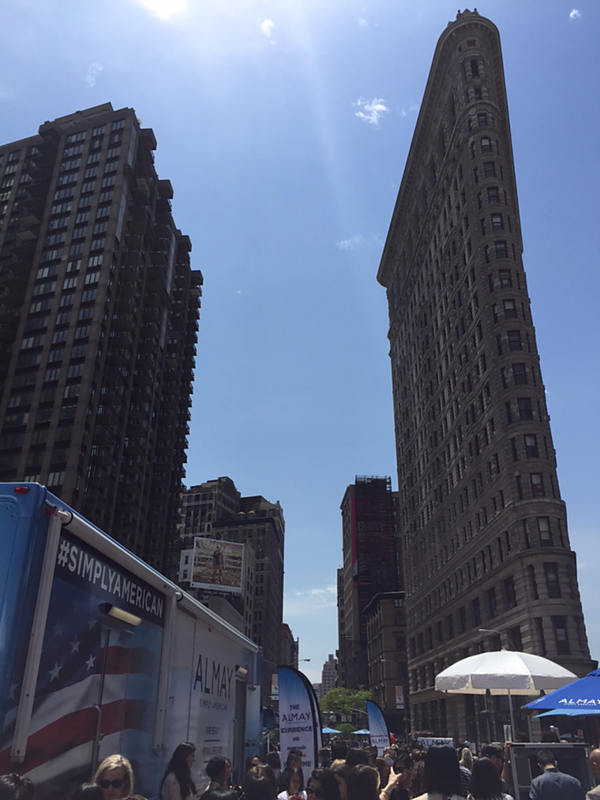 The Almay Simply American Bus Tour will also be stopping at the following locations. Hopefully it&apos;s coming your way! 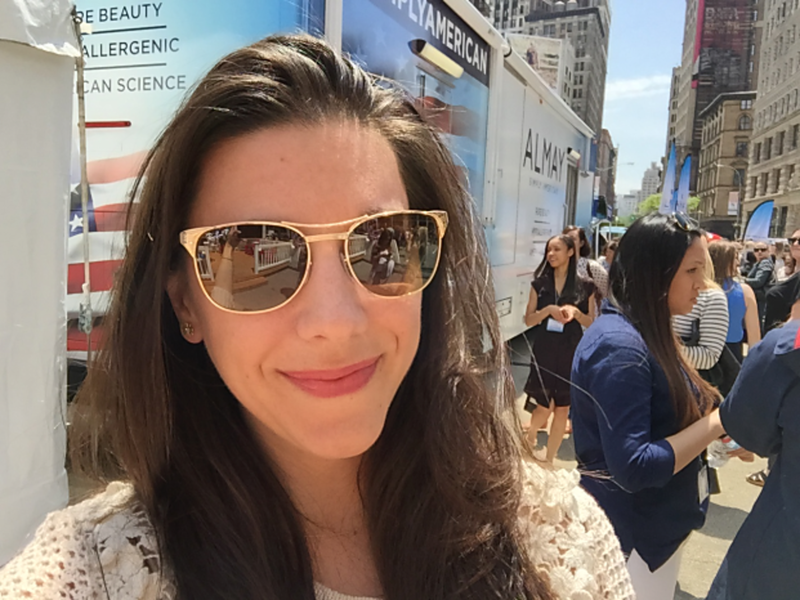 Regardless, you can still upload your #SimplyAmerican moment on social media and celebrate American beauty, something we Glamamoms know exactly how to do, am I right? 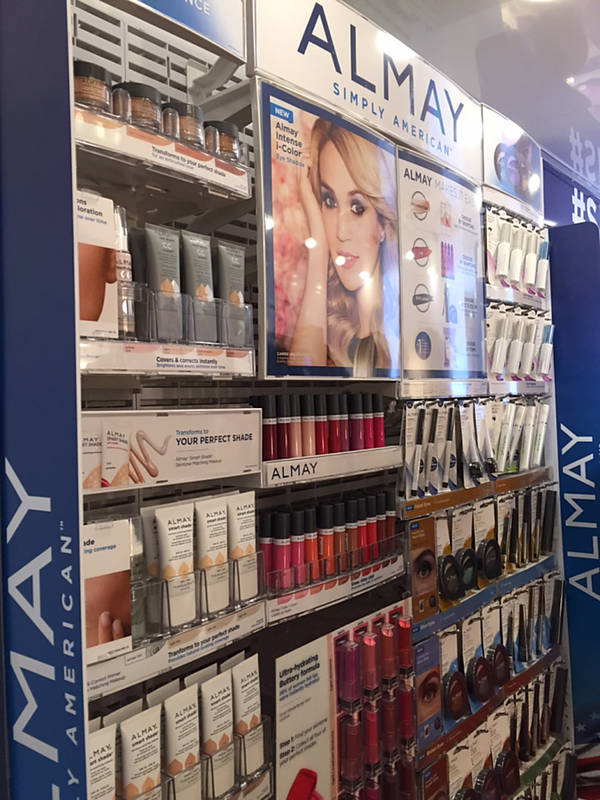 Disclosure: This post is part of a collaboration between Almay and SheKnows.